FRAME provides education, training and employment opportunities to people with all disabilities and people who are considered to be socially excluded, to enable them to test their ability to work, develop new skills and change direction in their lives. These opportunities are provided through the operation of a community re-use and recycling project which as well as offering reusable furniture and household items to the general public, targets those experiencing the effects of poverty and social deprivation in Pembrokeshire, providing items at very low cost or free of any charge to individuals or families in crisis. The re-use and recycling of unwanted furniture and household goods avoids unnecessary waste and minimises the use of landfill refuse sites. Social inclusion - FRAME try to enable people with disabilities into work. FRAME have a 25 year track record of achieving this and over half the staff team are disabled coming to FRAME as participants. FRAME provides work practice, training and paid work to individuals with disabilities. Each persons development plan is unique and catered to the individual. FRAME completes annual surveys with participants, staff and directors. FRAME has records of peoples training outcomes and increase/ decrease in their soft skills through workstars at reviews. These give a good indication of how FRAME’s service is benefiting individuals and is all reported in the social impact report. On average 200 people a year access FRAME’s services of work practive, training and employment. 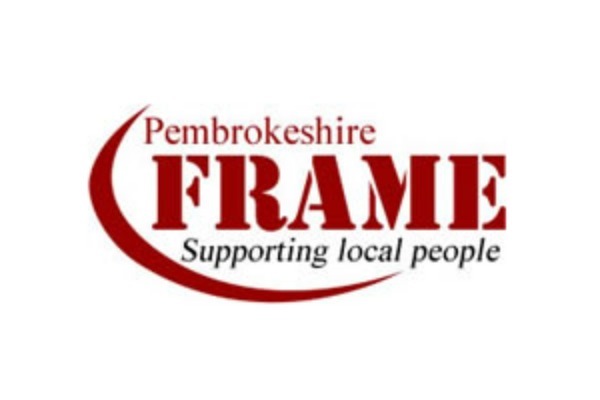 FRAME operate throughout the county of Pembrokeshire. FRAME has a number of case studies of individuals that have never worked that now hold down a full time job and are more than capable and competent in their role. This applies to over 50% of FRAMES paid staff team. FRAME offers a huge saving for the local authority in comparison to if individuals were in day care services. This figure is discussed in the Impact reporting annually. FRAME recycles and reuses over 1000 tonnes per annum which is diverted from landfill.